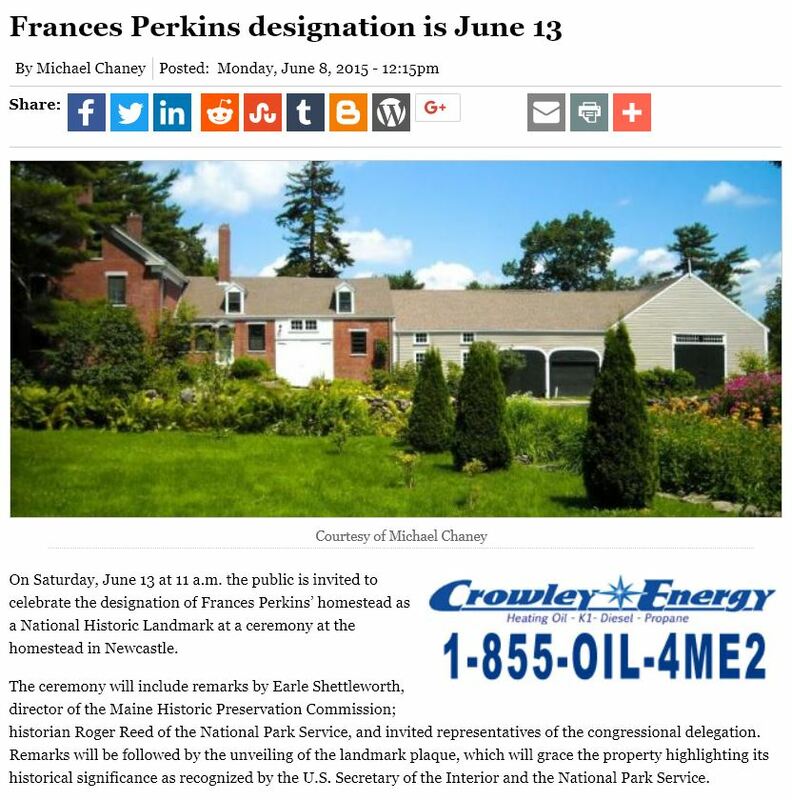 On Saturday, June 13 at 11 a.m. the public is invited to celebrate the designation of Frances Perkins’ homestead as a National Historic Landmark at a ceremony at the homestead in Newcastle. The ceremony will include remarks by Earle Shettleworth, director of the Maine Historic Preservation Commission; historian Roger Reed of the National Park Service, and invited representatives of the congressional delegation. Remarks will be followed by the unveiling of the landmark plaque, which will grace the property highlighting its historical significance as recognized by the U.S. Secretary of the Interior and the National Park Service. If you would like to attend either event, please RSVP to ccash@francesperkinscenter.org or call the Frances Perkins Center at 207-563-3374. Parking is available at 48 Main Street, Newcastle, at Ocean Wide’s parking lot, and transportation via trolley is provided.